The UK government announced on July 8th that it will commission a new study into the feasibility of resettling the Chagos Islands (British Indian Ocean Territory), one of Britain’s few remaining overseas territories and home to the exiled Chagossians. These are the indigenous people of the archipelago who were expelled in the 1960s and 1970s to make way for a US military base on Diego Garcia, the largest of the islands. The announcement is welcome news for supporters of the Chagossians’ right to return. Nevertheless, a dangerous double standard regarding the scope of the review risks undermining the process before it has even begun. First, some background. In 1965, the British Indian Ocean Territory (BIOT) was carved out of Britain’s existing imperial holdings as a new colonial jurisdiction. BIOT was endowed with a sole purpose: to serve the defence and security needs of the UK and its US ally. Given this raison d’étre, the indigenous inhabitants of BIOT were deemed surplus to requirements by both London and Washington. In a shameful episode told elsewhere, officials knowingly misrepresented the Chagossians as migrant workers, as a prelude to their forced deportation. Ever since, the Chagossians have campaigned for a restoration of their right to return. The government has always opposed the Chagossians’ claims, chiefly at the behest of US military planners who prize the seclusion that Diego Garcia provides. In 2002, however, the government’s case against resettlement was buttressed by a supposed feasibility study that found resettlement of the “outer” Chagos Islands – that is, the islands other than Diego Garcia – to be impracticable and prohibitively expensive. It now appears that this report was manipulated by government officials bent on blocking resettlement. It goes without saying that the upcoming feasibility study must be undertaken with a truly open mind and free from political interference. But there is an additional caveat that must also be adhered to: the study must be geared solely towards unearthing the truth about the feasibility of resettlement of BIOT. This might sound uncontroversial, but there are several reasons for concern. It is no exaggeration to say that, over the past five decades, the Pentagon’s designs for Diego Garcia have driven the way that the entire jurisdiction is organised and governed – including the expulsion and continued exile of the Chagossians. Moreover, in 2010 a small but passionate and highly organised – and well-resourced – group of environmental scientists and conservationists persuaded the government to proclaim a Marine Protected Area (MPA) in BIOT. Between them, the US military and conservation groups have managed to frame BIOT as something other than a homeland. To policy-makers, BIOT is a military asset or a chance to brandish “green” credentials. It is less and less the home of an exiled people. It is unquestionable that military-security and environmental concerns pertain to BIOT. The future of the territory is not simply an issue of whether the Chagossians are able to resettle there. Nor should anybody pretend otherwise. Yet it is absolutely critical that the study be conducted without prejudice or deference to either of these issue-areas. To do otherwise would be to bias the study against resettlement from the outset. Allowing military-strategic or environmental considerations to pollute the feasibility study would also be double standards. Consider, for example, the government’s public consultation on whether to establish the Chagos MPA. Whitehall made clear in its consultation document that any decision regarding the MPA would be made “without prejudice” to the Chagossians’ right of return. Respondents to the consultation were encouraged to divorce the issues – supporting environmental protection in BIOT, the public was assured, did not entail a rejection of the Chagossians’ human rights. The two issues were neatly compartmentalised, presented as distinct and discrete from one another. Of course, it borders on the absurd to suggest that London and Washington have taken the Chagossians’ concerns into account when making decisions regarding the creation, expansion and continuation of the US base on Diego Garcia. Nor did either government consider issues of environmental protection when blasting and dredging Diego Garcia’s lagoon or paving a runway big enough to accommodate a space shuttle. 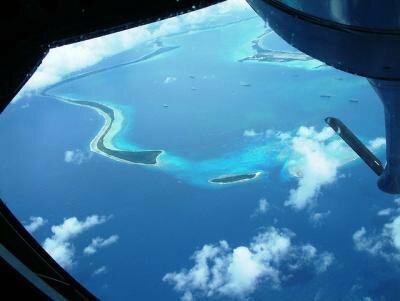 Instead, military-security and environmental issues always have been scrutinised on their own merits without regard to the broader political milieu that envelops the Chagos Archipelago. Such single-mindedness has allowed the strategic and environmental value of the Chagos Islands to be fully investigated and widely aired, with the proponents of the military base and advocates of the MPA alike thus being able to make their respective cases to the public and to policy-makers. These interests have had their say. Depriving the Chagossians of the same opportunity to have their desired future for BIOT – that is, a restoration of the right to return and permission to resettle – to be fully explored would be a double standard, another shameful chapter to an already “sordid tale”. As such, the feasibility of resettlement must be established with reference solely to the feasibility of resettlement per se, not with reference to the US military’s interests or the views of a select group of conservationists. At the broadest level, evaluating resettlement on its own terms means that the resettlement of Diego Garcia should not be ruled out a priori. Everybody knows that the US would not countenance such an outcome, but any decision to bar resettlement of Diego Garcia must be made in public as a naked political move and not under the guise of impracticability. Resettlement of the outer islands with access to the logistical and medical facilities on Diego Garcia should also be considered. Open mindedness regarding a reformulation of the currently anti-resettlement MPA framework must be a given. It is outrageous that the UK government maintains that BIOT is uninhabitable while thousands of US troops and auxiliary workers live in relative luxury on Diego Garcia. Resettlement of BIOT by its indigenous population is far from impracticable. Of course, nobody is suggesting that all of the Chagos Islands, some of which are little more than outcrops, are capable of supporting human habitation – but it is patently untrue to suggest that the territory as a whole is incapable of once again being home to the Chagossians. The only barriers to resettlement are political in nature. In short, the new feasibility study into resettlement must concern itself solely with facts. Can the Chagos Islands support human habitation? Once the facts have been established, it is the right and proper job of policy-makers to weigh the possibility of resettlement against the countervailing interests of the US military and members of the conservationist community. If the government chooses to prioritise the “special relationship” or warty sea slugs over the rights of human beings, then it is free to do so – but only under the full glare of public accountability, that is.